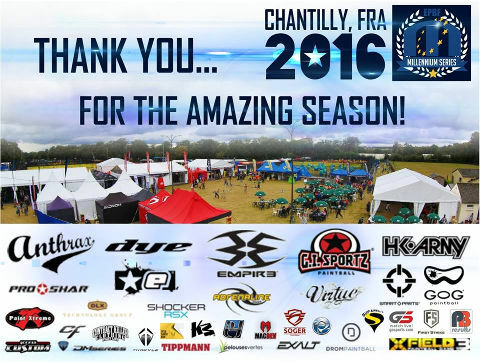 Greetings to our Chantilly Open Division 2 Winners! 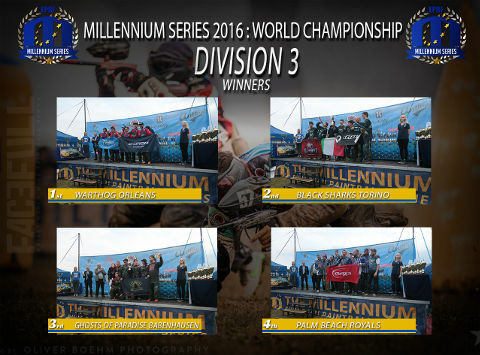 The Open Division 3 podium in Paris-Chantilly: congratulations! We start our Chantilly Winners presentation! 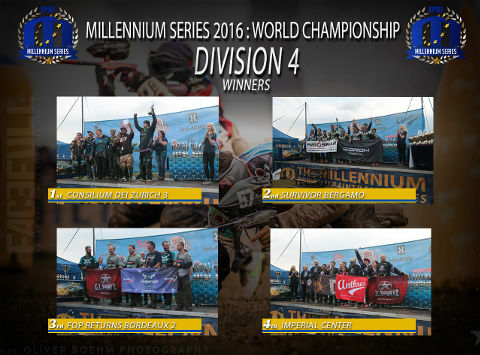 Greetings to our Open Division 4 Winners! 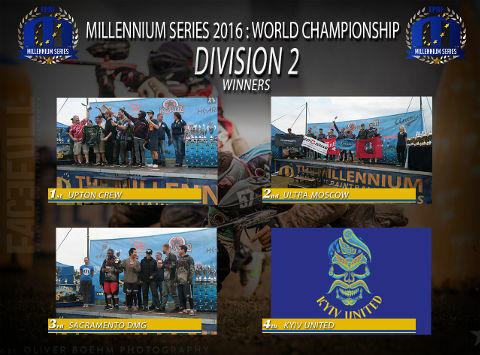 we will shortly publish photos of all the winning podium teams. But at this very moment we want to thank all who played, worked and supported us this year. As always we couldn't do it without the support of all the magnificent industry sponsors without whom we would not be able to stage our events and of course a big thanks to all our staff who work so very hard to put on these events... Thank you! 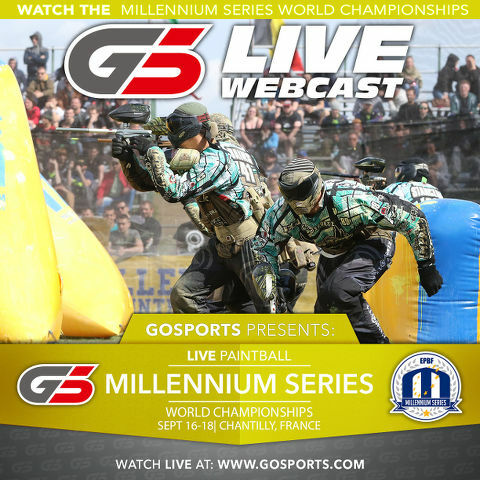 Watch Live the World Championship in Paris-Chantilly at GoSports! We have a field netting for sale, after the event. 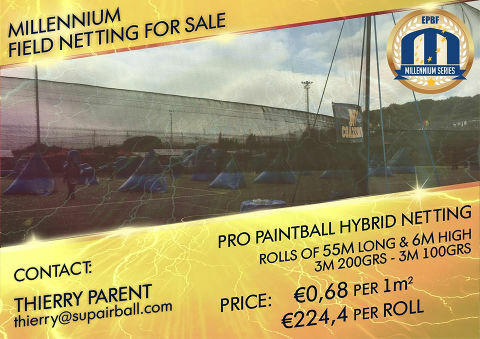 It is a PRO paintball hybrid netting, rolls of 55m long and 6m high, price is 224.4 EUR per roll. 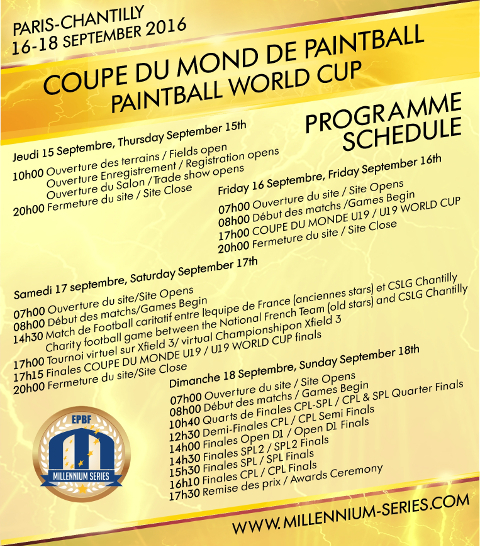 Welcome to the Festival of Paintball! All these entertainments are for free! 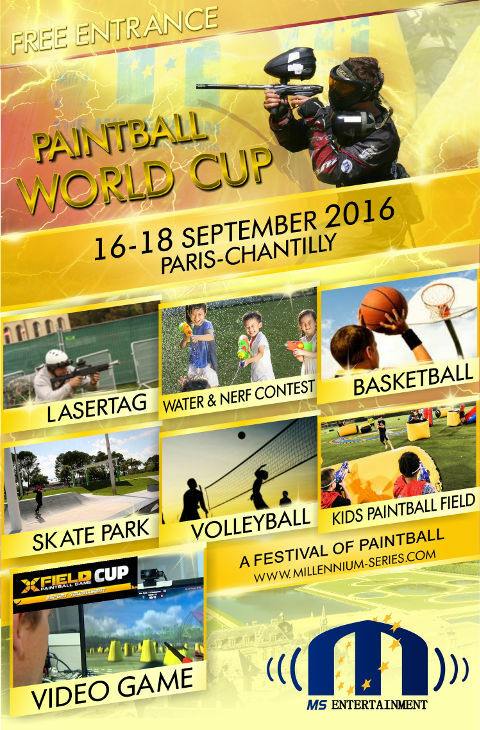 Don`t forget to bring your skateboards, rollerblades etc ... and a nice mood!